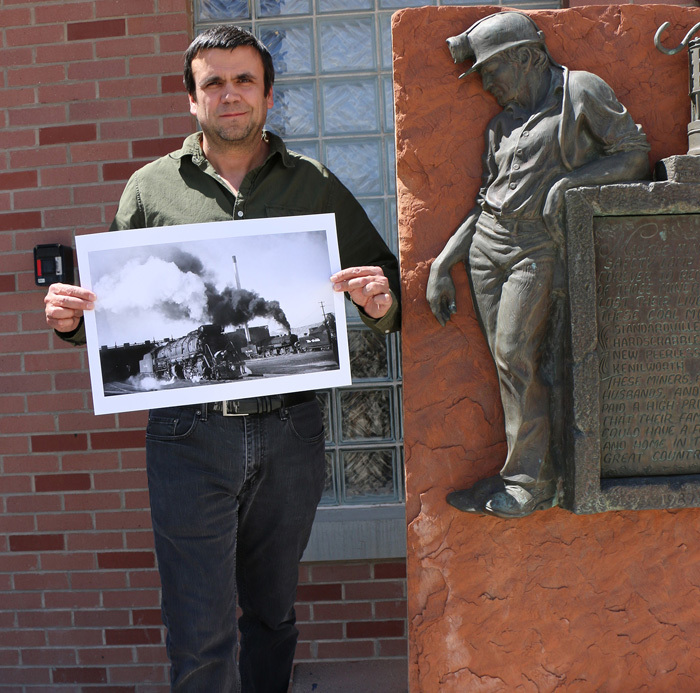 Jason Huntzinger in front of the Western Mining and Railroad Museum in Helper, Utah, holding one of the photos from the current exhibit. When you think of miners and railroaders, you don’t typically think of artists or historians. But a trip to the Western Mining and Railroad Museum in Helper, Utah, will change that. 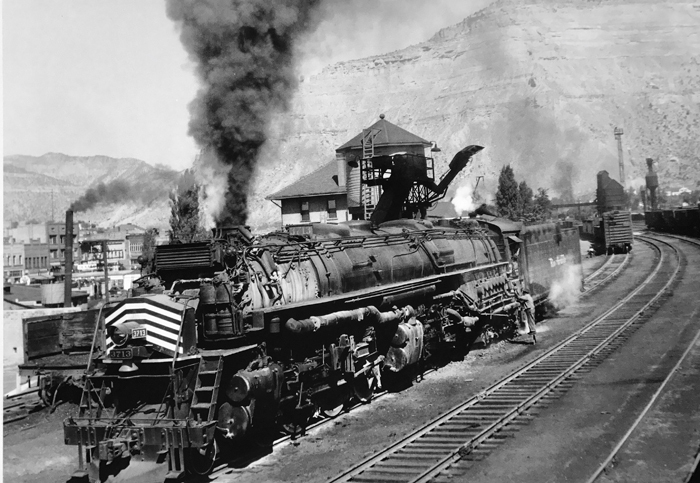 Last year, the museum added a large gallery of photos that document life on Utah’s rails from the late 1800s to the 1940s. The photos were made by miners and rail workers. As such, they offer an inside look at life and work on the Denver and Rio Grande Western. The work of Warren John Keifer, of Utah, is on display. While working as a fireman for the D&RGW in the ‘40s and ‘50s, Kiefer documented life on the rails, amassing thousands of images. There’s also work by Japanese immigrant Tomojiro Asahara. 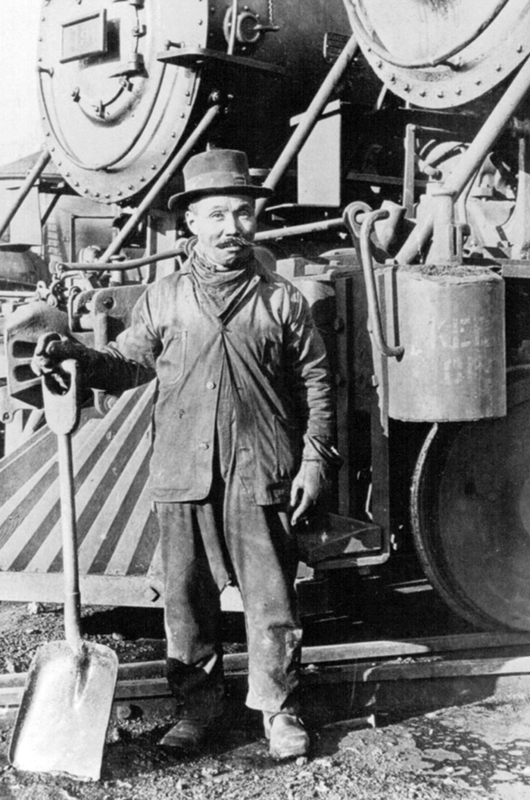 Asahara, like many others, immigrated to Helper in the early 1900s, during our country’s industrial boom. He worked on the railways and kept a tent in Helper’s rail yard, where he developed and displayed his photographs. He made hundreds of photos before returning to Japan in 1938, just prior to the end of the Great Depression. From the work by Tomojiro Asahara. Asahara and Kiefer are just two photographers whose work hangs in the museum. There are dozens of photos in all, all of them in stunning black-and-white. Placards contextualize the images. The exhibit is broken into five sections, each telling a different story, from the dangers of work to the rise of unions to engineering and design. Museum Assistant Jason Huntzinger curated and organized the exhibit. He started at Western Mining and Railroad Museum two years ago. The desire to work there, however, was born long ago. 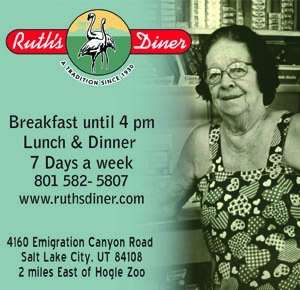 Though a native of Lindon, Utah, Huntzinger often visited Helper in his youth. It was then that Carbon County mesmerized him with its prehistoric vibe, rusting mills and mines, old-fashioned Main Street and quiet skies. Today, that’s exactly what he does. And as a trained photographer and designer, he’s perfectly suited to the task of reviving the vintage photographs. Huntzinger launched the project over a year ago. Things really came together when a railroad historian from Grand Junction, Colorado, Matt Darling, contacted the museum with news of 1400 photographs—the work of Warren John Kiefer. Kiefer had donated his collection to the Museum of Western Colorado in 1981, and there the photographs sat until Darling reached out. This happened just weeks prior to the exhibit’s unveiling last August, during the Helper Arts, Music, and Film Festival. Naturally, Huntzinger and the rest of the museum staff welcomed Darling’s news and subsequent trip to Helper. One of John Keifer’s photos. This year, Huntzinger will extend the photographic exhibit with help from Lloyd Logan, a geologist. Relying on grant money and donations, the museum will depict the geological forces that formed the coal in Carbon County and tell the story of how such forces ultimately lured people from around the world, resulting in a bustling, if not raucous community, where over twenty languages were spoken. The new exhibit will be a kind of prequel to the railroad exhibit. 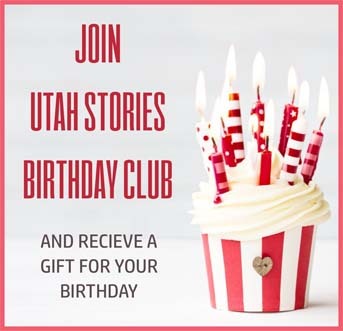 When complete, the gallery as a whole will show how a swampland rife with dinosaurs millions of years ago spawned a multicultural and industrial hub in the heart of Utah and the Wild West.